“If convenience stores are open 24 hours, why the locks on their doors?” If anyone knows, it’s 7-Eleven. The North American subsidiary of Seven-Eleven Japan, 7-Eleven operates more than 10,000 company-owned or franchised stores in the US and Canada under the 7-Eleven name. Globally, 7-Eleven licenses more than 51,000 stores in about 15 countries, mostly in the Asia Pacific and Nordic regions. Its stores range from 2,400 to 3,000 sq. ft. and sell about 2,500 items. 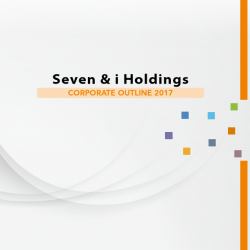 The world’s leading convenience store company is owned by the Japanese retail conglomerate Seven & i Holdings, which is the holding company for Seven-Eleven Japan, Ito-Yokado, Denny’s restaurants, and other businesses. In addition to retails stores across North America, 7-Eleven grants area licenses to overseas operators of 7-Eleven stores (except for Japan). Royalty fees paid by licensees are included in the company’s revenues from operations. 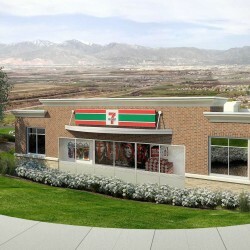 Across North America, 7-Eleven is cultivating denser store networks through aggressive store openings and acquisitions. 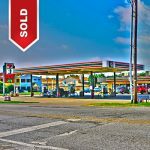 It’s focusing on opening locations with gas stations, as gas accounts for nearly half of total store sales. Like its Japanese parent, 7-Eleven employs a market concentration strategy to ensure effective merchandising and infrastructure usage. The convenience store chain seeks to differentiate itself by increasing its offering of private-brand products and fast food offerings. April, 2017, 7-Eleven, Inc. passed a resolution to acquire 1,108 convenience stores and gas stations operated by Sunoco LP in Texas and the eastern area of the U.S.
U.S. dollar amounts are translated from yen, for convenience only, at the rate of U.S.$1=¥113, the approximate rate of exchange prevailing on February 28, 2017.